The Southern U.S. is an epicenter for wild medicinal herbs. We interview author Mark Warren about his favorite five wild medicinal herbs of the South.When most of us think “herbs” or “herbal medicine” we probably think of alternative health meccas out West.But did you know the Southern states rival the West as an epicenter of medicinal plant diversity?What’s more, many of the world’s most powerful, historical, and sought-after medicinal plants could be growing right in your backyard or on your sidewalk. Today we talk with naturalist, author, composer, and experienced environmental educator Mark Warren, of Medicine Bow School of Primitive Earthlore in Northeast Georgia, about five of his favorite common Southern wild medicinals. Mark has spent more than 20 years studying and educating on a wide variety of environmental topics such as: ecology, botany, conservation, archery, Native American use of plants, wilderness survival and wild foods. A lifelong student of nature with a pre-med degree to boot, his expertise in wild medicinal plants comes from years of studying Native American tradition and folklore specific to plants for survival situations. Mark passes on this ancient wisdom to adults, teens, and children through Medicine Bow School of Primitive Earthlore in the Appalachian Mountains, as well as his books. While reality TV has popularized the colorful production and trafficking of wild ginseng in Appalachia, the South’s medicinal plant diversity goes far beyond its humble reputation. “We are located on a certain latitude that gives us a great variety of plants because our area can contain plants that belong in the North and the tropical areas,” says Mark. Mark shares five of his favorite medicinal plants indigenous to the South including their traditional Native American use, personal testimonies, information on their chemical components, tips on identification and how they can help you in a survival situation. 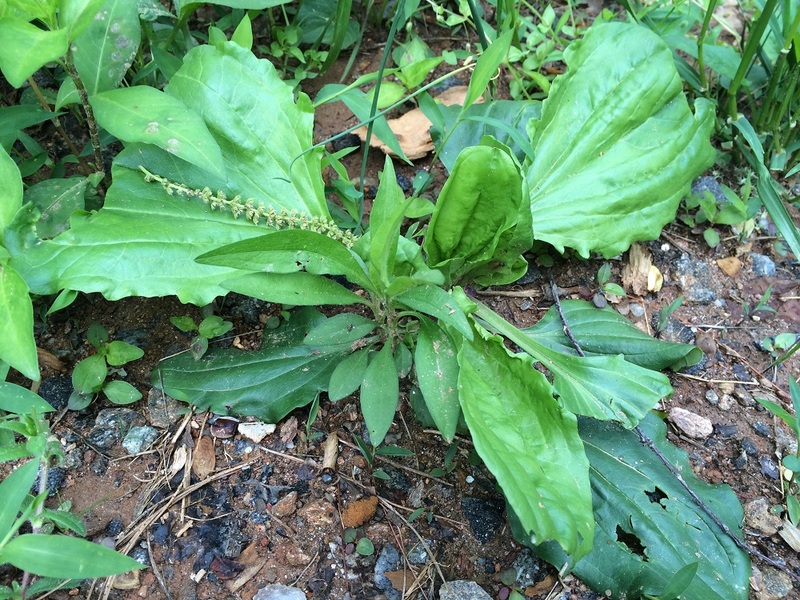 “There is a lot of folklore surrounding the use of Broad Leaf Plantain being used for snake bites, but you can’t expect a leaf poultice to help you with an intramuscular injection. 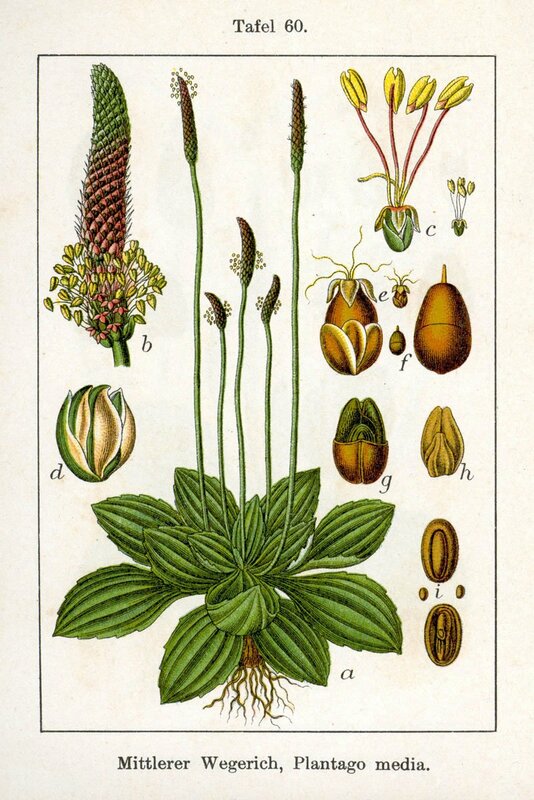 Rather it will help a subdermal injection like from a yellow jacket, wasp, or hornet.” To see what broadleaf plantain looks like, click here. Anyone fortunate enough to have attended a medicinal plant class with Mark will have learned about Jewel Weed, also known as Wild Impatiens (see photo at top). There is a myth that suggests Jewel Weed always grows near poison ivy, but Mark said that is not true. He had this to add on finding and identifying Jewel Weed. 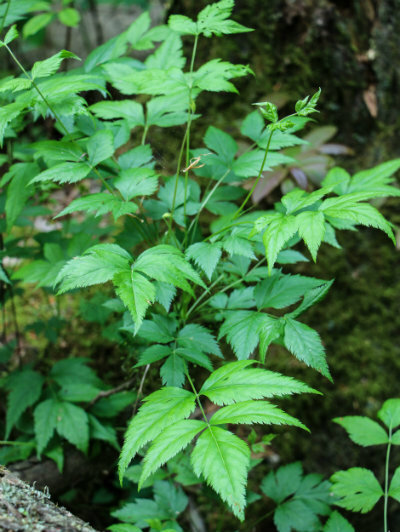 Goldenseal is also native to the South and is a popular herb used in many over-the-counter immunity formulas. For mouth sores, Mark recommends taking a piece of Yellowroot, chewing it, and holding it in your mouth for relief within a few hours. Mark recommended Sassafras with a little explanation to build his case. 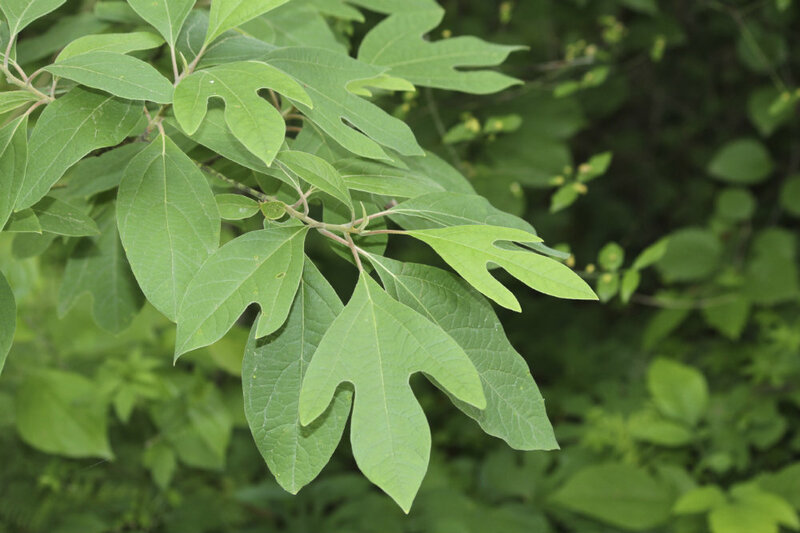 Beyond immune benefits, Sassafras is your best friend for gastrointestinal issues caused by bad water or spoiled food. Migraine headaches can be debilitating, whether you’re in a survival situation or not, but Mark has found a very effective natural remedy in Flowering Dogwood. Mark went on to explain the inner bark of Flowering Dogwood has been used extensively by the United States Government as a fever reducer. “Flowering Dogwood was used for those times in history when we couldn’t keep up with our need for quinine, such as during the civil war when typhoid, typhus and malaria were rampant among our soldiers. So we ran out of quinine and the U.S. government issued flowering dogwood as a fever reducer,” says Mark. Herbalists recommend flowering dogwood bark be used dried, but Mark has used it “green,” the size of a traced pinkie finger infused in 1 cup of water, and has had no problems using it this way. Mark is in the process of self-publishing a book about medicinal plant identification which will be available this summer, but he believes every plant-enthusiast should begin their journey with a mentor. Mark recommends checking with your local nature center or botanical garden to find a teacher or mentor. 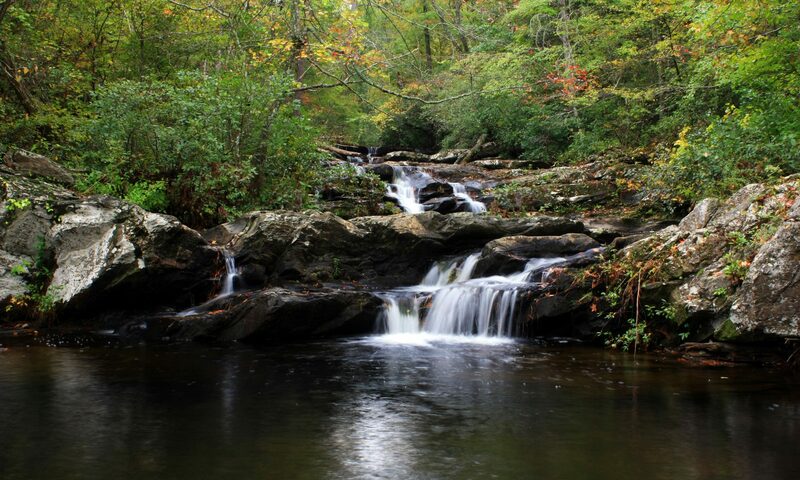 Mark also offers a variety of on-site courses at Medicine Bow School of Primitive Earthlore in Dahlonega, GA. I was fortunate enough to attend a weekend course on medicinals and forest food back in 1998 and would highly recommend Mark’s courses to adults, teens and children. To learn more about Mark Warren, his books, musical compositions and his classes visit: www.medicinebow.net.